Thank you. Clean office with modern equipment. Digital Xray blew me away, I've never seen that before. I think this was a unique situation but... they didn't have me down for an appointment, their internet was down sothey couldn't look anything up. I did my forms on ZocDoc in advance to save time (this was a lunch break appointment). I had to refill out all the forms. They were able to fit me in. Half way through my cleaning, i was moved to another room with a new person. The cleaning water device thing was broken so they were going to move me to another room AGAIN, but then decided to do it 'the old fashion way' using the metal scraper, which also takes longer and is more unpleasant, but fine. A third person finished the appointment. I was gone from work for 2 full hours and wasn't planning for that at all. Not a great first experience. However, everyone who worked there was extremely nice and apologetic of the situation. I know these things happen. I think the musical chairs part could have been avoided though, that wasn't great. I think this was a unique situation but... they didn't have me down for an appointment, their internet was down so they couldn't look anything up. I did my forms onZocDoc in advance to save time (this was a lunch break appointment). I had to refill out all the forms. They were able to fit me in. Half way through my cleaning, i was moved to another room with a new person. The cleaning water device thing was broken so they were going to move me to another room AGAIN, but then decided to do it 'the old fashion way' using the metal scraper, which also takes longer and is more unpleasant, but fine. A third person finished the appointment. I was gone from work for 2 full hours and wasn't planning for that at all. Not a great first experience. However, everyone who worked there was extremely nice and apologetic of the situation. I know these things happen. I think the musical chairs part could have been avoided though, that wasn't great. Dr. Afshar is a traditional dental provider and one of the few dentists in the Portland-Metro area certified in both general dentistry and implantology. He received his Doctorate in Dental Medicine from OHSU School of Dentistry with Prestigious Clinical Honor. In addition to hundreds of hours of training in general dentistry, Dr. Afshar received special training and certification in implant dentistry, as well as limited surgical and endodontic dentistry. Dr. Afshar has devoted years of practice serving the Portland-Metro area in a state-of-the art facility designed to brighten smiles and make the best first impression possible. 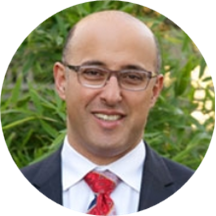 Dr. Afshar also enjoys playing an active role within the dental community, mentoring and partnering with colleagues in promoting excellence in dentistry. He is a standing member of AGD, OAGD, AAID, Multnomah County Dental Society and Washington County Dental Society. Dr Afshar is committed to giving back to his community. He is proud to donate his time and service to the "Give Kids A Smile" and "Compassion Clinic" programs, restoring the smiles of disadvantaged members of our community. Boosting the confidence of these patients as they go through life's journey is one of Dr's most rewarding experiences. From the receptionist to the hygienist to Dr. Afshar, all were so welcoming! Felt right at home. So glad I found them! Everyone in the office was SO nice. I am very nervous when it comes to dental visits. I walked in the office and the dentist himself happened to be the one to greet me: I felt very at ease. The hygienist was so gentle in demeanor as wellas with her hands, both of which made me feel well-cared-for. The exam and cleaning were quite thorough, but not at all nerve-wracking. The office has huge windows across from the exam chairs, so that my view during my cleaning was the sky. This was a last-minute appointment with a practice I knew nothing about, and I am extremely happy about the whole experience. I am so happy to have switched dentists to Dr. Afshar. He was very friendly, knowledgable, and cheerful which made the experience all the better. I'm always a bit hesitant when visiting a new dentist for the first time. The entirestaff were very warm and welcoming, not to mention informative. This is a great place to go for dentistry and I look forward to continuing my relationship with them. Dr. Afshat was very friendly and informative with my teeth cleaning. The whole staff was so warm and attentive. I thoroughly enjoyed my first visit with this practice. Happy to find a new dentist! Everyone who works in the office is super sweet! The receptionist Amelia is adorable, so kind. Jessica did my teeth cleaning and is very genuine and personable. She walked me through everything she was doing and was very thorough with mycleaning, I really enjoyed our conversation. Dr Afshar is also very kind and pretty funny. I left feeling really confident about my teeth, which is refreshing because dentists usually ask me if I want braces or veneers because I have a gap in my front teeth. Additionally the office has a great view of Portland and they were playing some really great Motown hits. I'm looking forward to my next appointment. Dr. Afshar and his staff were very friendly, prompt, and explanatory. Dr. Afshar did my cleaning himself since it was my first appointment, and shared information about my teeth with me that no dentist had ever mentioned before. I also reallyappreciated that he said his office takes a "conservative" approach to dental work - asking patients to make changes to their self care before jumping into more intensive dental work. I love that he asks patients to make changes before recommending a plethora of expensive dental surgeries or procedures. Visiting his office was a very pleasant experience.